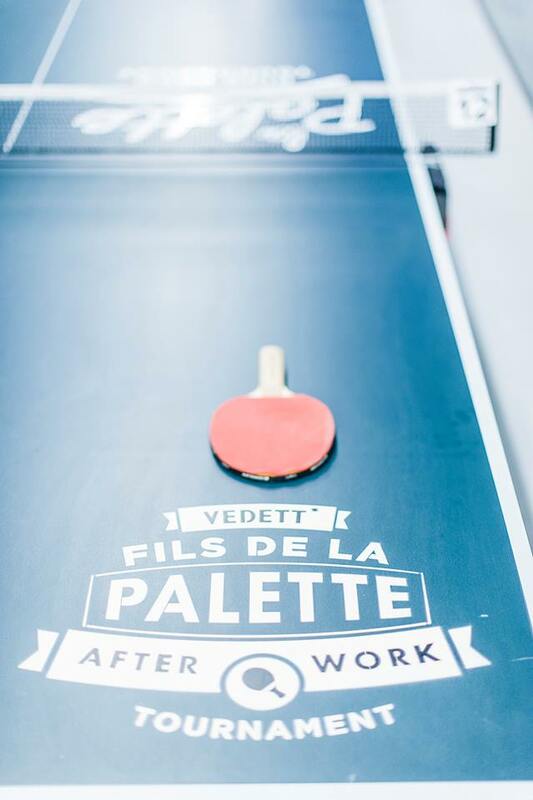 The Vedett After Work ping-pong tournament, which was organized last year by Fils de la Palette in the Franse Vaart, was greatly appreciated by Combell’s collaborators. And the Vedett beer that was offered to all thirsty participants during these exciting games have been quite welcome too. So, we had to do it again, which is why four brave Combell employees signed up for the new tournament as soon as it was announced for 3 December. 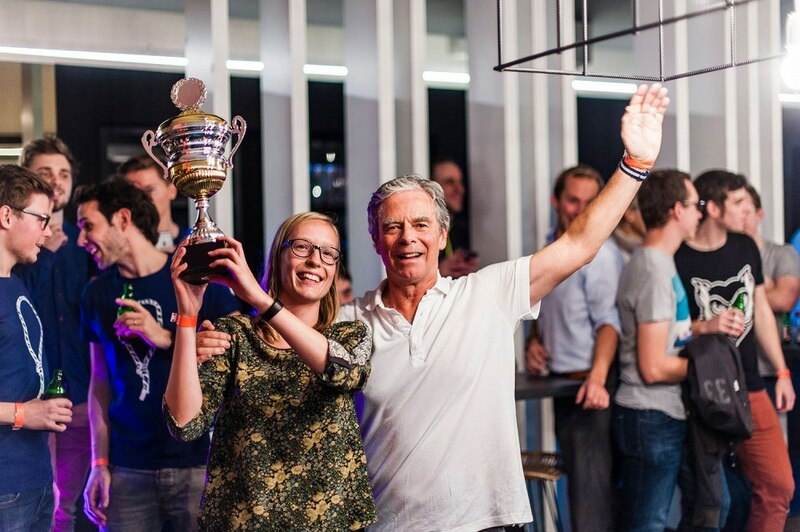 When the big evening arrived, Stijn Van Der Biest, Michiel Van de Veire, Dries Vergote and Matthias Dekeyser left, cheered by five enthusiastic supporters, for MeetDistrict, the co-working place in the Ghelamco arena. As its name suggests, the tournament is a combination of sports and entertainment, of ping-pong and beer, for colleagues who want to relax and have a chat after work. So, this kind of tournament is clearly more about enthusiasm and fun than actual ping-pong skills. The unexpected winner was Alexandre Rosemarin – an “éminence grise”, in every sense of the term, in view of his grey t-shirt and short grey hair. However, in a sporting gesture, he handed the trophy to Ine Nowé, who is definitely no stranger in national tennis circles. Anyway, it was once again a very successful event. And hats off to all the participants!